South Korean Foreign Minister Kang Kyung-wha speaks during a Friday news conference with Secretary of State Mike Pompeo at the State Department. 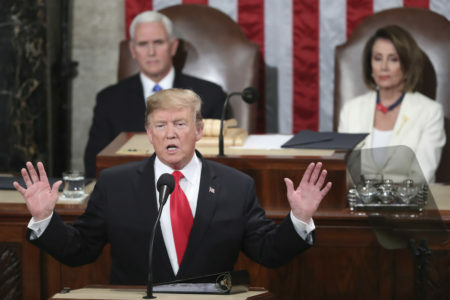 But he did expound on the economic benefits North Korea and its people would enjoy if Kim got rid of his country’s nuclear weapons. “If Chairman Kim chooses the right path there is a future brimming with peace and prosperity for the North Korean people,” Pompeo said. 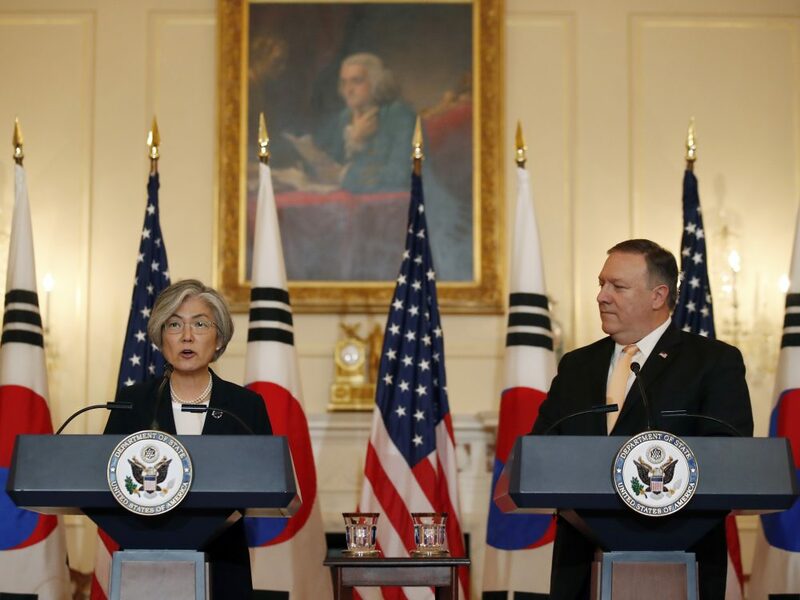 “If North Korea takes bold action to quickly denuclearize, the United States is prepared to work with North Korea to achieve prosperity on the par with our South Korean friends,” Pompeo added, standing beside Kang. The U.S. and North and South Korean governments are preparing for a historic meeting to address North Korea’s denuclearization. The summit between Kim and President Trump will be held in Singapore on June 12. Kang praised recent diplomatic negotiations between the U.S. and North Korea that ended in the release Thursday by North Korea of three Korean-Americans. She called it a “promising signal” for the upcoming summit. But she warned that the next few weeks will be critical, “requiring airtight coordination between” the two countries. Kang also emphasized that there has been no discussion about reducing U.S. forces in Korea and said it is not up for negotiation. She called it a matter between the U.S. and South Korea.